“Wimberley is so blessed to have a talent like David Oertel and an amazing group of musicians like Starlight Symphony Orchestra right here in our area. I’ve been attending their concerts for years and they are always so moving and compelling. I’m glad David is getting recognition for his amazing work,” said Steve Thurber, former Wimberley mayor. The American Prize is a non-profit organization whose mission is to recognize artists around the country that are not typically lauded by the media in areas ranging from musical composition to stage directing. 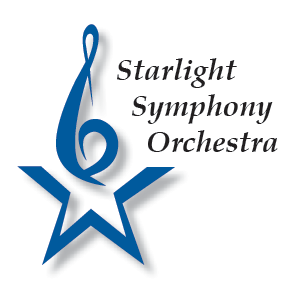 Oertel conducts and provides musical direction for Starlight Symphony Orchestra (SSO), a regional community orchestra, based in Wimberley and Kyle. His experience includes the direction of symphony orchestras, youth orchestras, musical theatre and opera pit orchestras, community orchestras, wind ensembles, jazz ensembles and silent film orchestras in Texas and North Carolina. Oertel earned a Doctorate in Musical Arts from University of North Carolina and a Masters degree from the University of Houston. Orchestral programming refers to the selection of the musical repertoire. Artistic and creative programming not only entertains an audience and challenges musicians but can educate and enrich the community involved. Oertel masterfully chooses music to bring meaning to each season, leaving listeners and participants wanting more. Compositions of varying nature highlight Oertel’s clever and unconventional approach to creating unique and personal musical experiences for the audience at every concert. Excited to catch some of Oertel’s work live? Experience SSO’s upcoming concerts for the season, click here. SSO is a 501 (c) (3) non-profit orchestra composed entirely of volunteer musicians of widely varying age and experience that reside in nearby hill country communities. The Starlight Symphony Orchestra’s concerts are always free and open to the public. Donations gladly, accepted, click here.